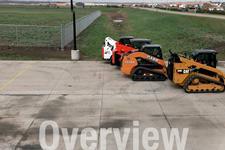 While you’re working on a jobsite or loading your machine on a trailer, rear visibility is key. 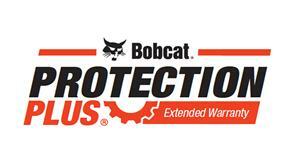 It’s what gives you the confidence to backup without risking damage to your machine or surroundings. 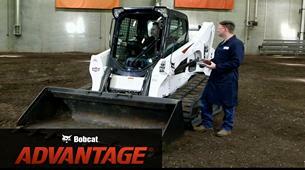 Bobcat® loaders are designed with a large rear window and clearer sightlines to the back of the machine. 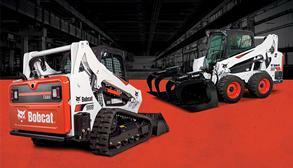 However, not every brand of loader provides the same assurance. 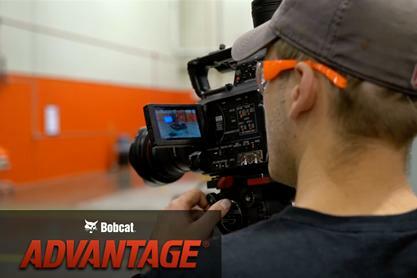 Kubota®, Caterpillar®, Case® and New Holland® loaders leave you with larger blind spots. Watch the test to see for yourself. 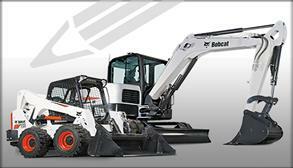 Visibility to the rear of your loader is very important. 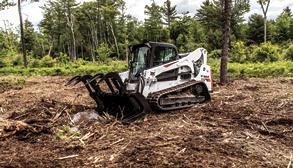 It helps you easily maneuver your loader while traveling backwards, especially on cramped jobsites with multiple obstacles. 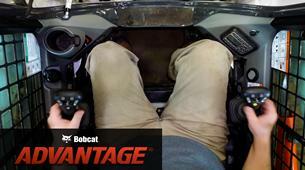 You'll also appreciate better rear visibility when backing your machine onto a trailer. 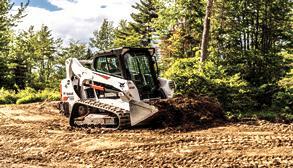 Superior visibility behind your compact loader gives you more confidence when maneuvering in tight work environments. Unfortunately, not every loader provides the visibility you need. How do the industry's top brands stack up? Watch the test results to find out. We set up a simple test to measure rear visibility. After marking a yellow line behind the loaders, the same operator backed up until the line was no longer visible. 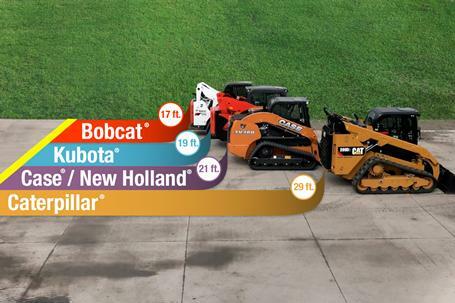 With Caterpillar, he barely got off the starting line before having to stop at 29 ft. Case and New Holland did a bit better at 21 ft. Kubota proved itself with 19 ft. Bobcat lead the group with a remarkable 17 ft. 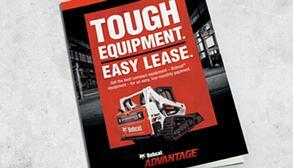 When you're shopping for a new machine, it's easy to compare specs. After all, that's the best way to compare machines, right? Not quite. With specs, you're only getting part of the story. They don't measure real performance on your jobsite and that's what matters most. It's the reason we put top brands through the paces with fair, accurate, and repeatable tests. 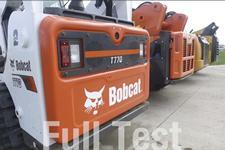 Watch to see how we developed the tests.